Were they pirates, or were they warriors for Islam? For centuries, historians have debated the significance of one of the most stirring episodes in the history of Britain ’s Muslim minority. Men such as Captain John Ward of Kent astounded their compatriots by proudly adopting Islam to fight the Inquisition and the expansionist powers of Europe. Contemporaries called such men ‘corsairs’; they themselves considered themselves mujahidin. Some were among the most pious Muslims this country has yet produced. Others were famous drunkards and lechers. 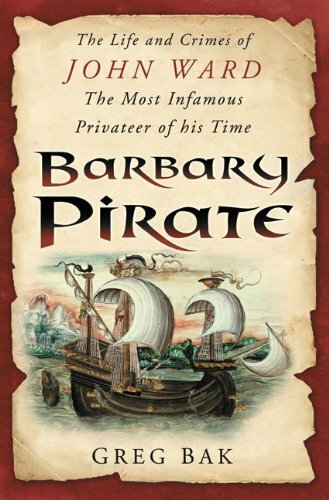 Ward, in particular, rose in the public eye until he became the best-known English pirate since Sir Francis Drake. Born at Faversham, he spent his teenage years working the fisheries. Late in the reign of Queen Elizabeth he joined the Navy, where his rebellious temperament impelled him to the unofficial capture of a ship rumoured to be carrying the treasure of Catholic refugees. The ship turned out to be empty of treasure, but the enterprising Ward used her to capture a much larger French ship off the south coast of Ireland , and to vanish from the Navy for good. This article also appeared in Seasons, the Zaytuna Journal.